Glad you liked the other photo Odette. I believe when our little ones join any group or sport it should involve a lot of fun to begin with to build up their interest in learning so they remain into the senior level. 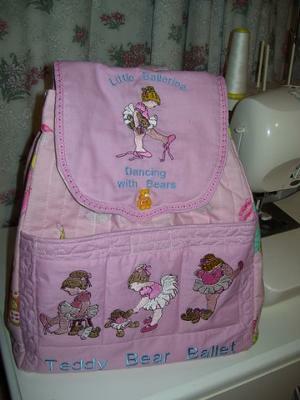 While having fun they also learn many lessons as well as the activity it self so for my baby grand daughter I have made a back pack for fun and called it Teddy Bears Ballet and hopefully it will encourage her with the lesson of looking after her ballet gear. Hope this photo turns out as good as the other one. Thank you for contacting me, it is a great pleasure to hear from you. The photograph is great and I absolutely love your design. The name Teddy Bear Ballet perfectly matches this adorable bag. 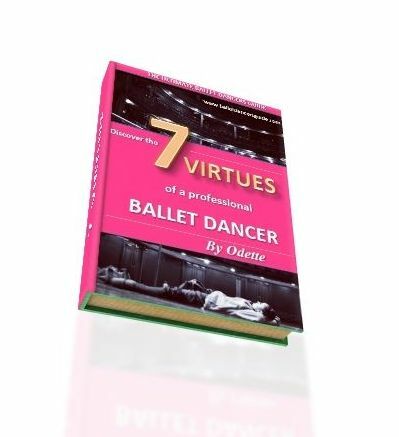 I love the subtle pink colour and intricate little ballerinas. It really is wonderful. I couldn't agree more with your view that any group or sport should involve a lot of fun to build up their interest in learning. This is absolutely right. It must always be for the fun, otherwise you loose most children along the way because the enjoyment and passion just isn't there. It is the same with any system of education, I emphasize the point that young ones need to really absorb and take in the pleasure of learning as oppose to just going through the motions and doing it because they have to. This is also grows into a broader aspect within the arts, as I believe we must delight in the beauty and art for its own sake, rather than just having to bear though it. Art can be expressed within so many ways and it brings beauty, enjoyment and passion for everyone around us. We must continue to celebrate art and explore our own creative talents.